When working abroad, one of many important things you need to secure and understand is your employment contract or employment agreement. This is a binding contract between you and your employer. Remember, it must be written and not an oral. Here, employment agreements are being addressed as long as an important aspect of your employment such as your salary, benefits, termination, obligations or duties and responsibilities of you as an employee and your employer. Another advantage of having a contract is that this agreement can be referred to in the future, just in case there is a dispute between you and your employer. This written document can serve as evidence if needed.Do not rush into signing your contract, but read and understand it first. Voice your concerns if you have until it’s too late. A work contract is a contract concluded between an employer and an employee, whereby the latter undertakes to work under the management or supervision of the former for a wage. The work contract shall be in duplicate, one copy to be retained by each of the two parties. However, a contract shall be deemed to exist even if not written. In this case, the employee alone may establish the contract and his entitlements arising therefrom by all methods of proof. Either party may at any time demand that the contract is in writing. As for employees of the government and public corporations, the appointment decision or order issued by the competent authority shall serve as the contract. Subject to Article (37) of the Labor Law, the Ministry of Labor shall issue a unified form for the work contract, which shall primarily include the name of the employer, venue, the name of the employee, nationality, identification, wage agreed upon including any benefits, date of employment and duration of the contract if fixed. 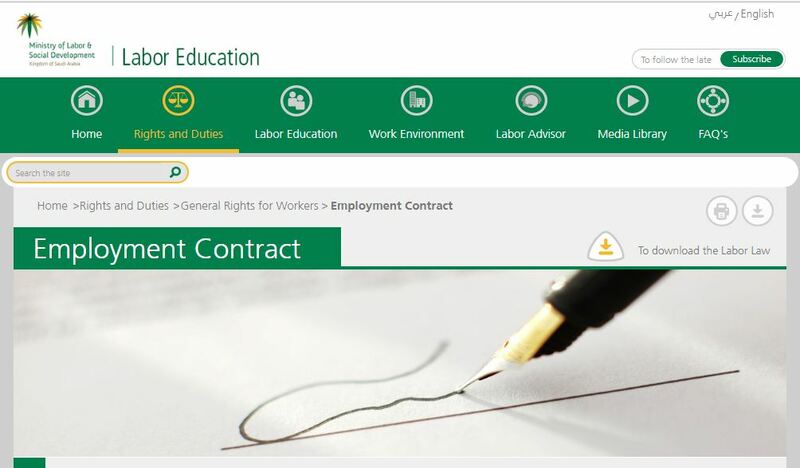 The work contract shall be in accordance with the unified form mentioned above and the parties to the work contract may add any other articles as long as such article does not contradict with the provisions of the Labor Law, its Executive Regulation and any other decisions issued in this regard. 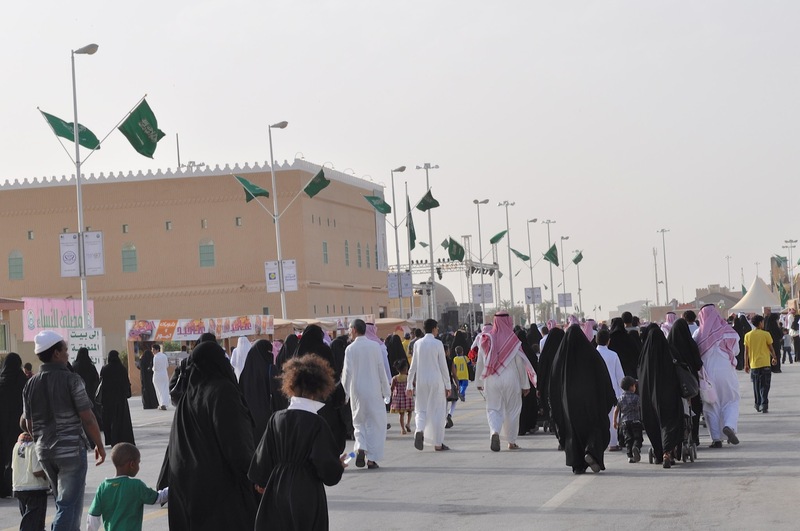 The work contract for non-Saudis shall be written and of a definite term. If the contract does not specify the term, the term of the work permit shall be deemed as the duration of the contract. If both parties agree to terminate it, provided that the employee’s consent be in writing. If the term specified in the contract expires unless the contract has been explicitly renewed in accordance with the provisions of Labor Law, in which case it shall remain in force until the expiration of its term. On the basis of the will of one of the parties to the contract in non-fixed-term contracts and in accordance with Article (75) of the Labor Law. The employee attains the age of retirement, which is 60 years for males and 55 years for females unless the two parties agree upon continuing work after this age. If it is a fixed-term work contract which extends beyond the retirement age, it shall terminate at the end of its term. The establishment is closed down permanently. The activity under which the employee works in is closed down unless otherwise agreed upon. Any other reasons stipulated by another law. If the contract is an indefinite term, either party may terminate it for a valid reason to be specified in a written notice to be served to the other party at least sixty days prior to the termination date if the employee is paid monthly and not less than thirty days for others. 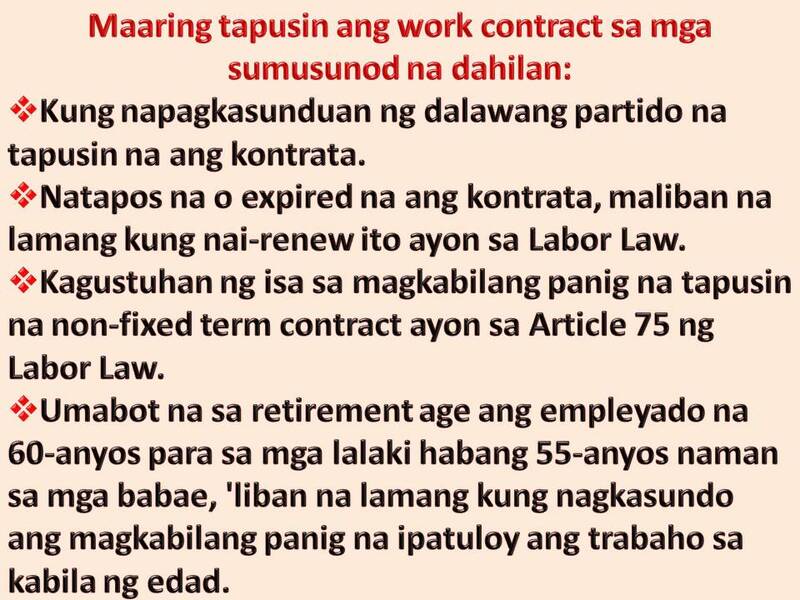 If the party that terminated the indefinite term work contract, did not observe the notice period set forth in Article (75) of the Labor Law, such party shall be obligated to pay the other party an amount equal to the employee’s wage for the notice duration, unless the parties agreed to a higher amount. 1. An amount equal to the wage of fifteen days for each year of service of the employee, if it is an indefinite term contract. 2. The amount remaining in the work contract, if it is a fixed term contract. 3. The compensation set forth in (1, 2) above should not be less than an amount equal to the employee’s wage for two months. If the employer terminates the work contract, the employee shall be entitled, during the notice period, to be absent from work for an entire day per week or eight hours during the week in order to secure other work, the employee shall be entitled to the wages of such duration of absence. The employee shall determine the day or hours of absence, as long as notice is given to the employer at least a day preceding the absence. The employer may exempt the employee from work during the notice period, however, the notice period will be included when calculating the end of service award and the employer maintains all consequential obligations, especially the employee’s entitlement to wages for such notice period. A work contract shall not expire by the death of the employer unless this person has been taken into consideration in concluding the contract, but shall expire with the death or incapacity of the employee in accordance with a medical report approved by the competent health authority or the authorized physician designated by the employer. 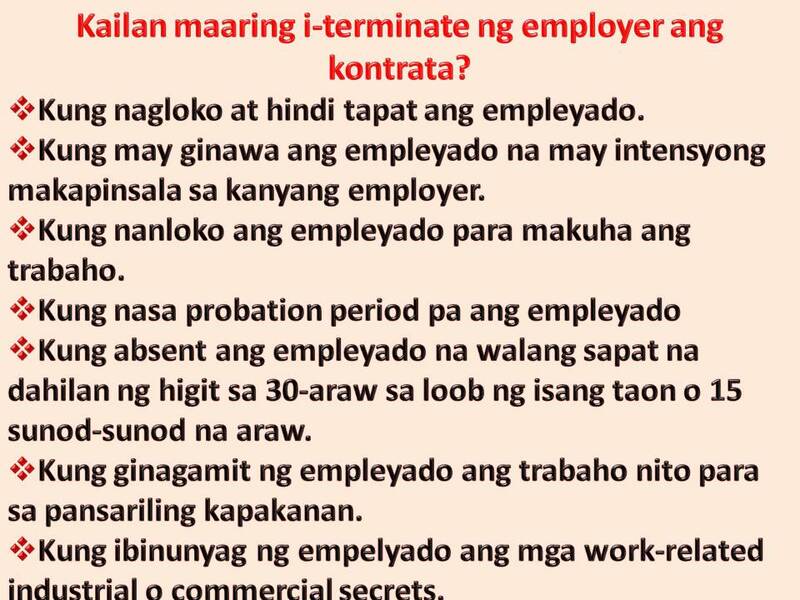 An employer may not terminate the contract without an award, advance notice or indemnity except in the following cases, and provided that he gives the employee a chance to state his reasons for objecting to the termination:If, during or by reason of the work, the employee assaults the employer, the manager in-charge or any of his superiors. If the employee fails to perform his essential obligations arising from the work contract or to obey legitimate orders, or if, in spite of written warnings, he deliberately fails to observe the instructions related to the safety of workers and employees as may be posted by the employer in a prominent place. If it is established that the employee has committed misconduct or an act infringing on honesty or integrity. If the employee deliberately commits any act or default with the intent to cause material loss to the employer, provided that the latter shall report the incident to the appropriate authorities within twenty-four hours from being aware of such occurrence. If the employee resorts to forgery in order to obtain the job. If the employee is hired on probation. If the employee is absent without valid reason for more than thirty days in one year or for more than fifteen consecutive days, provided that the dismissal is preceded by a written warning from the employer to the employee if the latter is absent for twenty days in the first case and for ten days in the second. If the employee unlawfully takes advantage of his position for personal gain. If the employee discloses work-related industrial or commercial secrets. If the employer fails to fulfill his essential contractual or statutory obligations towards the employee. If the employer or his representative resorts to fraud at the time of contracting with respect to the work conditions and circumstances. If the employer assigns the employee, without his consent, to perform a work which is essentially different from the work agreed upon and in violation of provisions of Article (60) of the Labor Law. If the employer, a family member or the manager in-charge commits a violent assault or an immoral act against the employee or any of his family members. 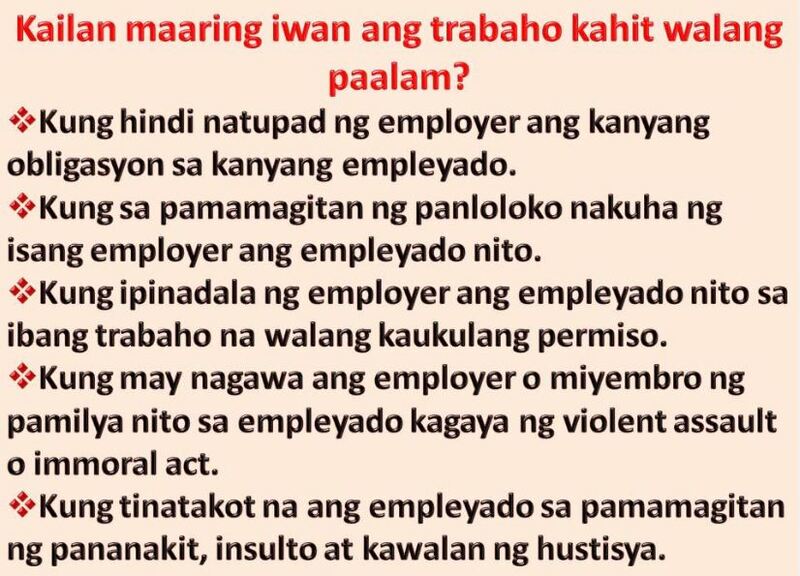 If the treatment by the employer or the manager in-charge is characterized by cruelty, injustice or insult. If there exists in the workplace a serious hazard threatening the safety or health of the employee, provided that the employer is aware thereof but fails to take measures indicating its removal. If the employer or his representative, through his actions and particularly his unjust treatment or violation of the terms of the contract, has caused the employee to appear as the party terminating the contract. If the employee was under a probation period, then such probation period shall be clearly referenced and specified in the work contract. The probation period shall not exceed more than ninety days, such period may be extended, subject to a written agreement between the parties, to a total of a hundred and eighty days. Eid Al-Feter and Al-Adha holidays, as well as sick leaves, shall not be included in the calculation of the duration period. Either party may terminate the work contract during the probation period unless the contract includes a provision giving such right exclusively to either party. The employee may not be put under a probation period more than once for the same employer. However, subject to a written agreement between the parties, the employee may be put under another probation period if it’s in regard to a different job or work or if a period no less than six months have passed since the termination of the previous labor relationship between the employer and the employee. If the work contract is terminated during the probation period, neither party will be entitled to compensation nor will the employee be entitled to an end of service award. NO AGE LIMIT and NO AGE DISCRIMINATION AT WORK IS NOW A LAW! WHAT TO DO IF YOUR SSS CONTRIBUTION IS NOT REFLECTING IN YOUR SSS RECORDS?